There is no wider variety of off-road opportunities available anywhere else than here in the Ozarks. Many ATV and dirt bike trails can found scattered throught the Ozarks, even some that allow full-sized vehicles, such as pickups and jeeps. Many small country backroads can offer up a unique challenge for the weekend warrior as well. And don't forget the off-road parks, giving the more serious guys a chance to really show off their skills. 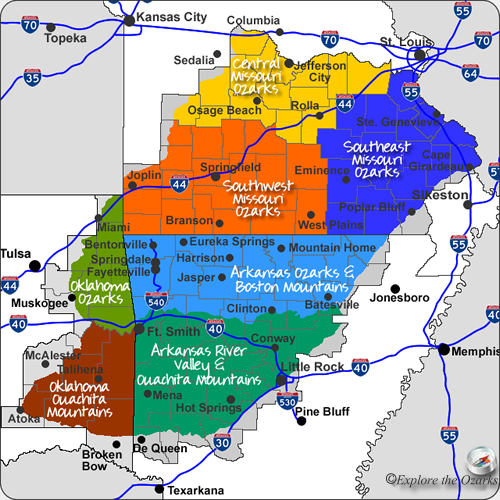 Currently, I have not been able to gather enough information yet on the numerous offroad riding opportunities available within the Ozarks and Ouachitas. As more information on them becomes available, I will list them here.